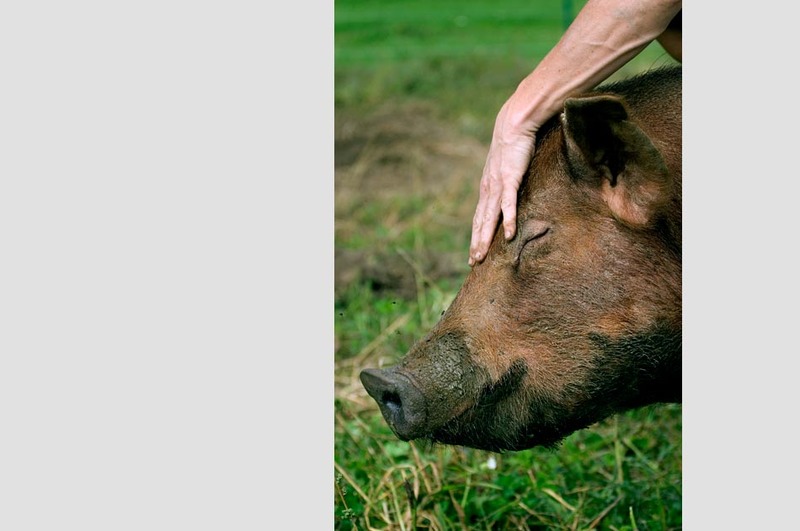 Nancy LaRowe gives her Tamworth boar Lug a pat while visiting it in the pasture at Hogwash Farm in Norwich, Vt. LaRowe has been raising pigs for the last seven years. 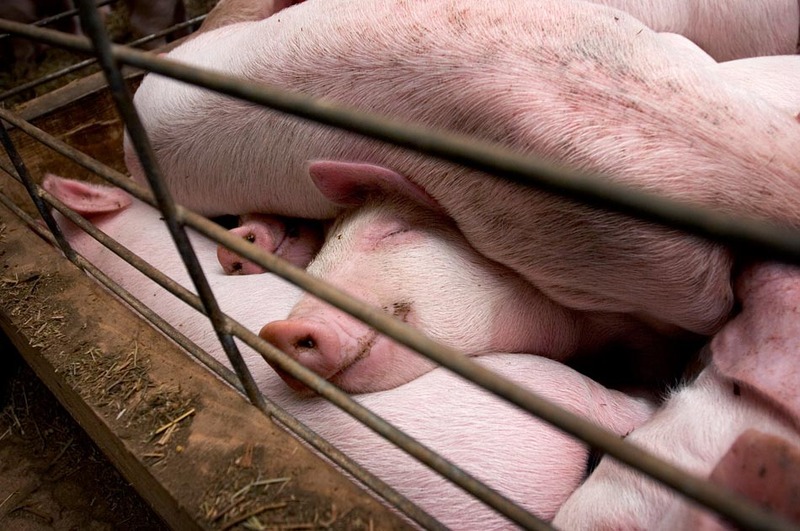 Weaned piglets nap in a pile at North Hollow Farm in Rochester, Vt. The farm has separate areas in the 1886 barn for the pigs to sleep and eat. Zola, a two-month-old registered female Tamworth, roams the pasture at Hogwash Farm. 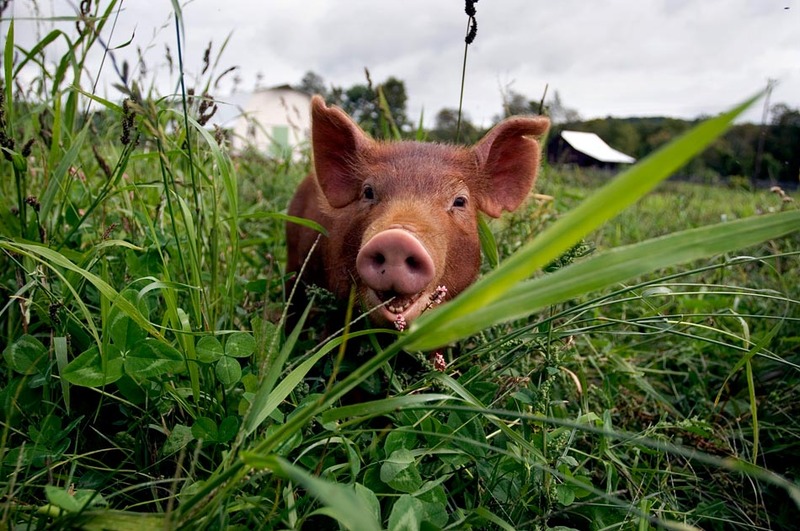 Tamworths are a heritage breed that is threatened due to the prevalence of factory farm pork. 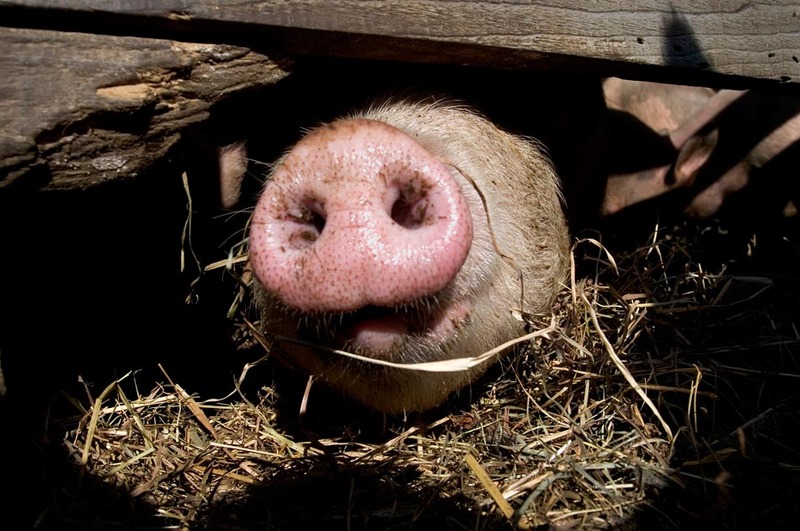 A curious pig pokes its snout between boards of a portable house at Luna Bleu Farm in South Royalton, Vt. The pig is the friendliest animal on the farm by far. Frannie, a "Heinz 57" mixed breed sow, naps while her two-month-old piglets roam the barnyard at Luna Bleu Farm. 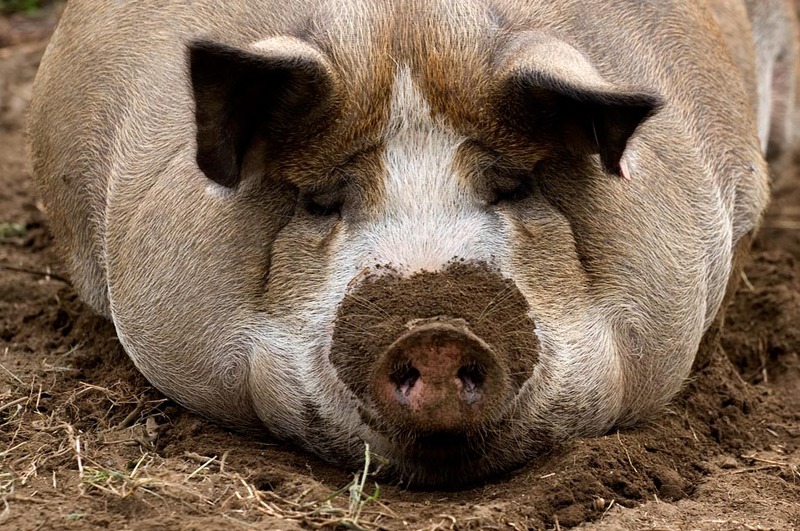 Hybrid hogs usually leads to more rapid growth than the purebred variety. 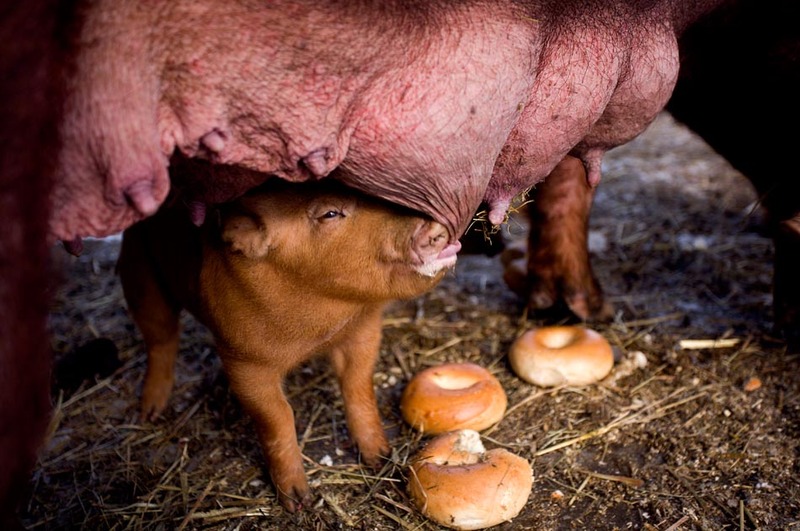 While nursing from its mother, a Tamworth piglet also has its choice of stale bagels farmer Nancy LaRowe picked up from a local food cooperative. LaRowe said she gives her pigs a consistent diet at Hogwash Farm, supplementing it with treats from the market. To read the caption, tap or hover over a photograph. Mucking about in barnyards, I followed pigs through the seasons to make pictures for Living with Pigs. 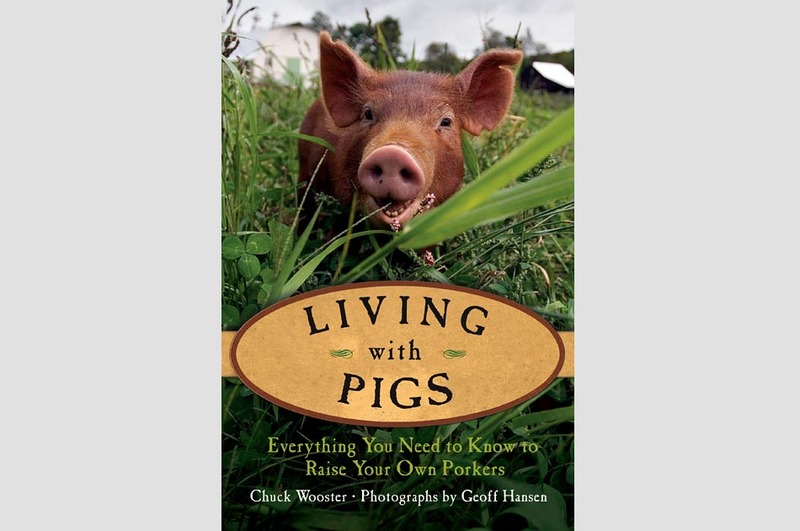 They are thoroughly enjoyable creatures to watch and photograph — pigs have the curiousity of a cat and friendliness of a dog. Click here to order a signed copy of the book.